Located in the far north of Albania, the Kelmend region remains one of Europe’s least known and most inaccessible. Arriving from Scutari, much of the road that crosses it is unpaved, and it takes several hours to reach the green pastures of the village of Lepushe, set amidst the peaks of the Albanian Alps, close to the border with Montenegro. The extreme isolation (the harsh winters sometimes cut the locals off for months at a time) and the lack of employment and development prospects have pushed much of the population to seek their fortunes elsewhere. Many of the mountain communities in this region now risk dying out, along with the gastronomic traditions passed down through the generations, preserving their authenticity. Products like mish i thäte (cured pork) or bukë në vote (a bread made with white corn flour) are small gastronomic treasures that could make a decisive contribution to the revival of one of the continent’s most unspoiled areas and boost its tourism appeal. Among Kelmend’s many typical products, mishavin stands out for its complexity and typicalness. It belongs to the “cheese in a sack” family, found across the Balkan peninsula and Anatolia. It is made only in the summer months, when the animals graze freely on the slopes of the Trojane mountains, and eaten through the long winter. Once the curd has been obtained from a mix of varying percentages of cow’s, sheep’s and goat’s milk, it is cut into thick strips, wrapped in a cloth and lightly pressed to release the whey. First the resulting cheese is cut into large pieces and left to dry outdoors, protected from the sun, for between seven and ten days. It is then crumbled finely by hand, salted and left to age in a wooden container with holes in the bottom, to allow more whey to drain off. The top of the container is sealed with a thick layer of melted butter, sometimes clarified. After around two months the mishavin is ready. White in color, tending towards straw-yellow, it has a grainy structure which becomes denser with aging and a buttery texture, with notes of forest and hay and a finish that becomes more piquant over time. The Presidium will work together with producers and cheese making experts to come up with a production protocol that will facilitate higher quality standards, including reviving the use of traditional wooden barrels for aging. The next step will be to bring the pro- duction and conservation facilities up to standard, so that Mishavinë can meet European food-safety regulations and be sold on the national market. The Presidium has been star- ted on the initiative of VIS Albania (which has been working in Kelmend for years with a wide-ranging program of income-generating activities, including many based on tourism and gastronomy) and is supported by the Slow Food Chefs’ Alliance, launched in Albania in 2015 and created to support small-scale quality food production. 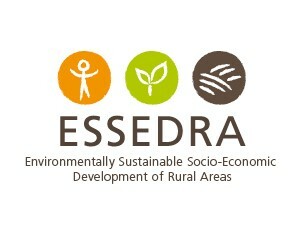 The Presidium is one of the activities of ESSEDRA, a project co-funded by the European Union through the Directorate-General for Enlargement and promoted by Slow Food with the aim of assisting the process of integrating the Balkans and Turkey into Europe by strengthening civil society and its capacity to influence policy and promote sustainable rural development models.